Help Center - How do I set up automatic owner distribution invoicing? 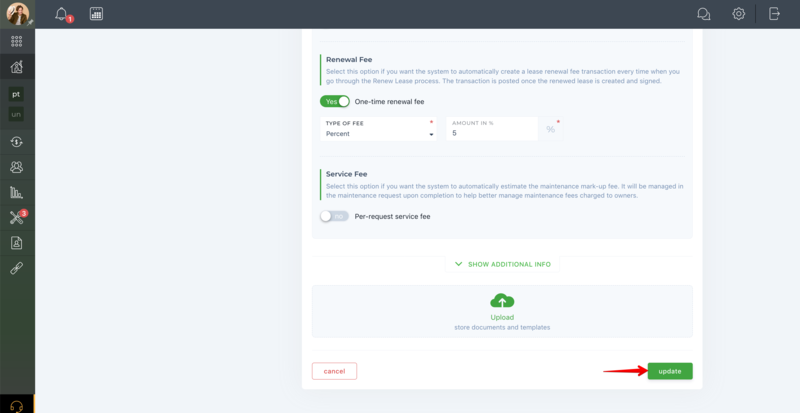 How do I set up automatic owner distribution invoicing? 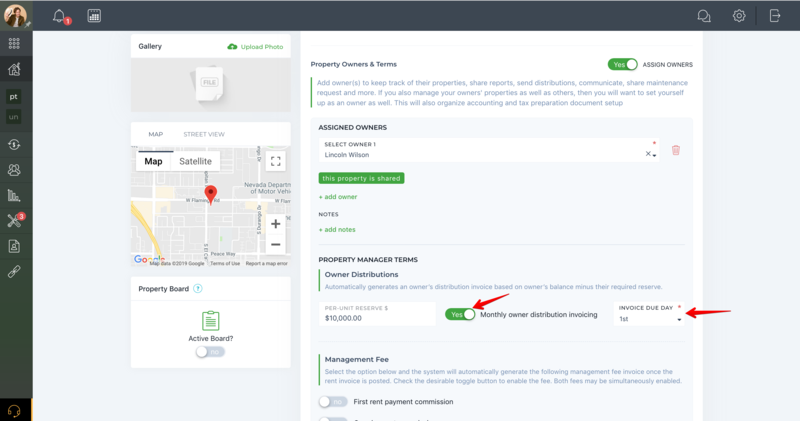 To set up automatic owner distribution invoicing, please go to the “Properties” list from your menu on the left menu of your dashboard, locate the needed property from the list, and click the “view” button. Then click the three dots in the upper right-hand corner and choose the “Edit” option. 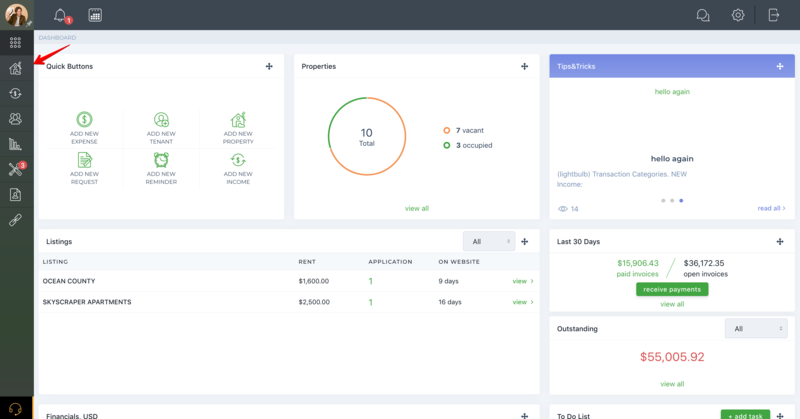 Automatic owner distribution invoicing is a feature which is only visible in Property Management Mode. 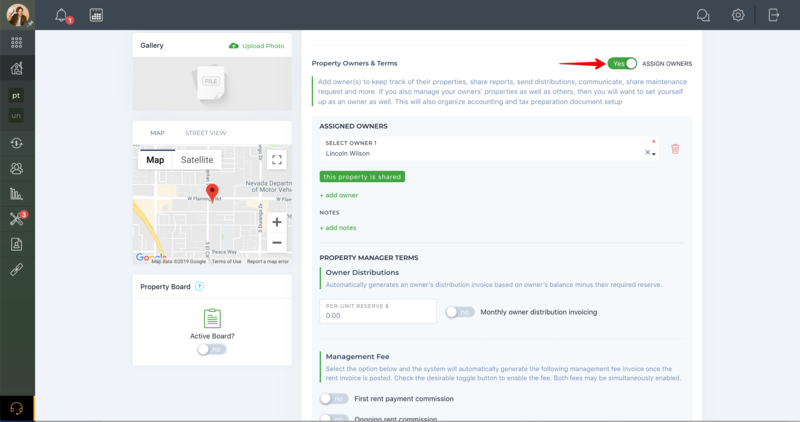 In order to set up this feature, the Property Manager must have connected with Owners and assigned properties to them. How to add a required reserve to the Property? 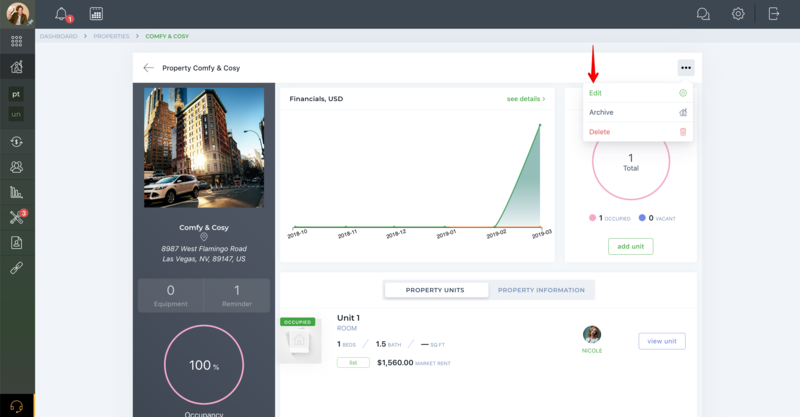 While editing, scroll to the “Property Owners” section and check the toggle button to enable ”Assign Owners”, if you have not done so yet. Now you can select an owner from the drop-down list by clicking the “+ add owner” button. If two or more owners are assigned to the property, assign the percentage of ownership to each. This ownership percentage will be used to calculate the automatic owner distribution invoice for each owner based on the ownership percentage. If you have two owners and want only one to receive the owner distribution payment, you can enter 0% of ownership for the second owner. If you provide 50% for each, the system will split the invoice equally for the two owners. The “Property Reserve” option specifies the required reserve of the Owner which will be used for the automatic owner distribution invoicing. If this field is empty, it will be considered zero. The Property Reserve also depends on the property type. If your property is a single-family house, the Property Reserve amount would be a total for a whole building. In the scenario with a multi-unit property, the Property Reserve amount is the reserve per each unit. The system multiplies the reserve amount to a number of units added and then shows a total for a property. Owner Balance is the sum of all paid and partially paid property incomes minus property expenses on the date specified in the Automatic Owner Distributions Invoicing. It does not include the liability and pending payments. 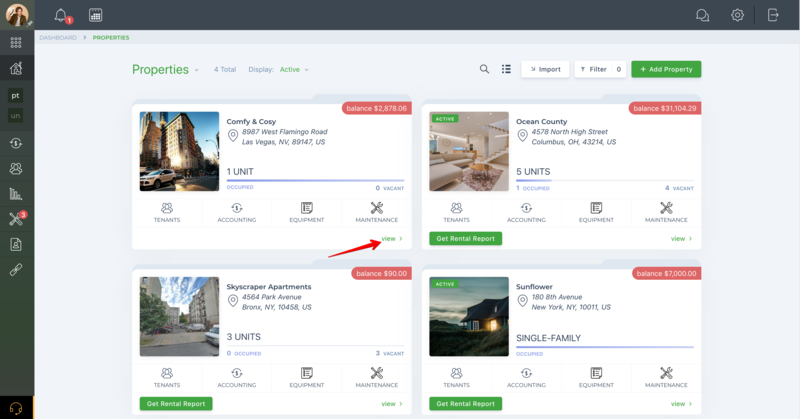 Once the system begins to post the owner distributions invoices, you can view the list of all distributions by going to the Owner Distributions tab located on the "Accounting" page. How do I add a required reserve to the Property? How to add an owner contribution?